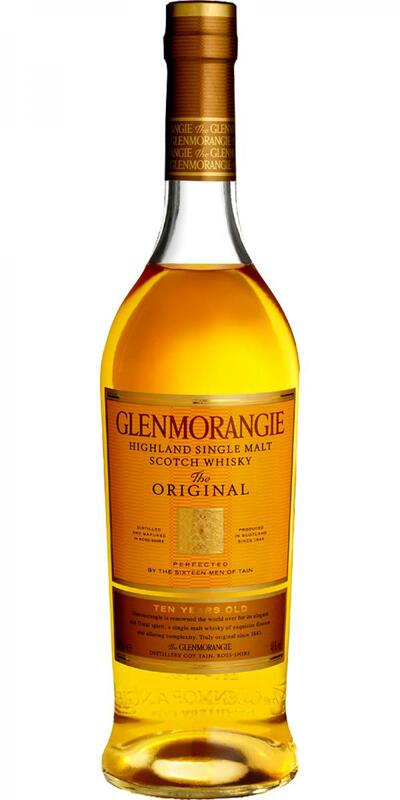 Light, accessible and rather undemanding - that's probably the best way to describe Glenmorangie's 10-year-old entry-level Single Malt. Matured exclusively in ex-bourbon casks, the nose is fresh and clean with unripe, quite sour fruits (green apples and grapes), vanilla cream and honey. With water, some herbal/minty notes start to emerge. 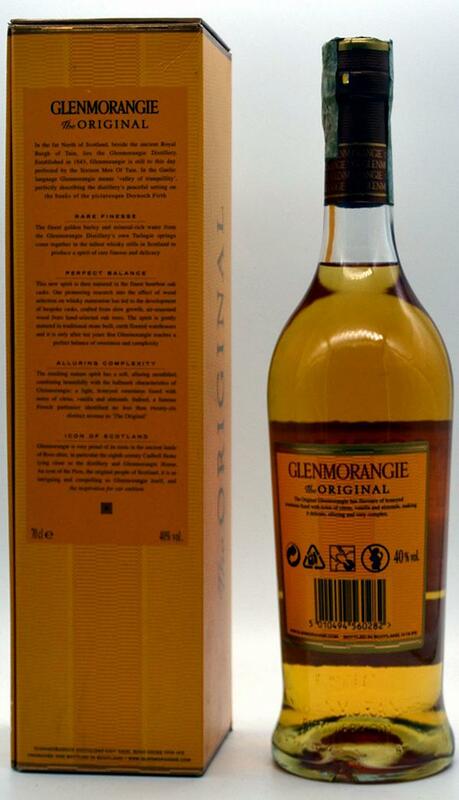 On the palate, it arrives spirity and aromatic with citrus fruits, pears and nutmeg, turning more dry and bitter in the development. The finish is of medium length, nutty and mildly spicy. Solid average but nothing special. The aroma of flower meadow, freshly cut grass, fresh yellow apples, honey, vanilla and white grapes. The taste is very light bitter and sour base of citrus peel, followed by ripe apples, light, transparent, little wood, a little bitterness of dandelion petals. On every day. Flower perfumery with fruit and wood shades. 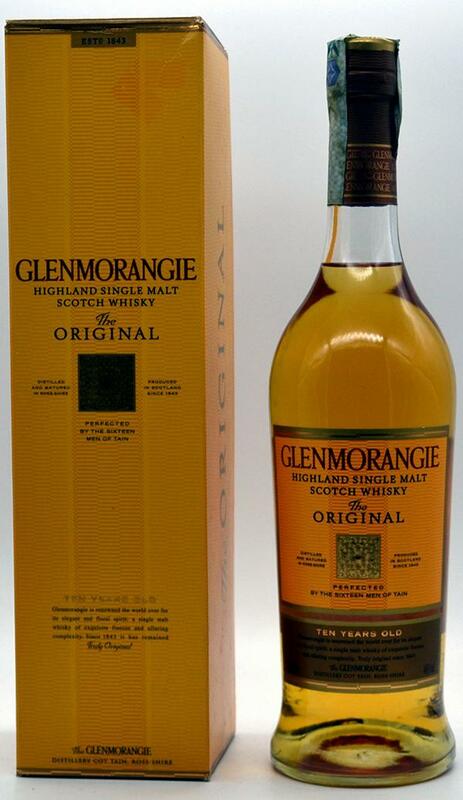 Whisky is not surprising with anything, but it is very correct and tasty in its “role”. There are no particular complaints about him, but it is hard to call him memorable. I will not say anything more. Apples, baking spices, floral, perfume, grass climbing, citrus, sweet fruits, honey notes on nose. Sweet, vanilla, apples, honey, citrus, caramel, cream, fruits note on nose. Short finish with spices, apples, vanilla, oak and honey notes. Sweet spring apples and citrus fruit like orange and lime. Honey and cereals with some butter. Again the apples and vanilla with honey and cream. A little fudge. Not so complex and quite the easy drinker. Short finish. At the end slightly spicy, but the sweet vanilla with citrus is the main part. Beautiful, soft fruity vanilla, solid whisky from the bourbon barrel. A delicious malt with after ripening on ex-bourbon barrels of American white oak is a whisky with vanilla, peach and orange flavors.